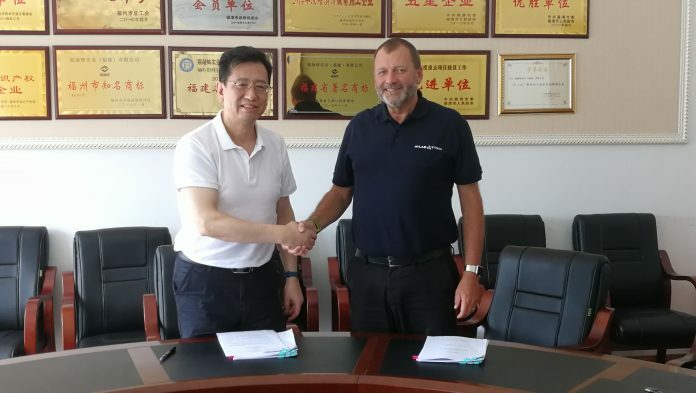 Atlas Converting Equipment has signed a contract with Fujian Furong Technology Group to supply a 10.4 meter Atlas CW1040 primary slitter rewinder. Fujian Furong Technology Group is one of the three largest producers of BOPP film in China and a long-standing, highly valued customer for Atlas Converting Equipment. Currently, Fujian Furong Technology Group has six Atlas CW1040 primary slitter rewinders, two at 8.3 meters and four at 8.7 meters. The machines are installed at three production sites in China, Fuqing, Fujian Province; Guangzhou, Guangdong province; and Nantong, Jiangsu Province.